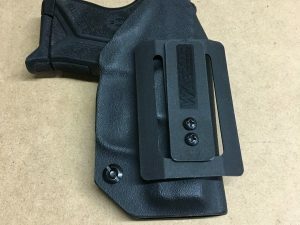 This inside the waistband universal holster can be worn inside the waistband or outside on a belt. 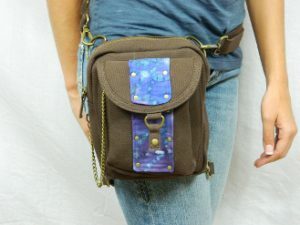 It is so comfortable and easily conceals your firearm! SKU: HLSTR-UNVRSL-001. 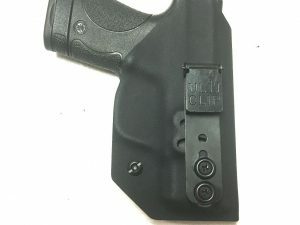 Tags: Appendix Carry, Belly Holster, Belt Holster, Black, Black Holster, Bra Holster, Brown, Brown Holster, Holster, IWB, IWB Holster, Kidney Carry, Leather Holster, OWB, Small of Back Holster, Universal Holster. 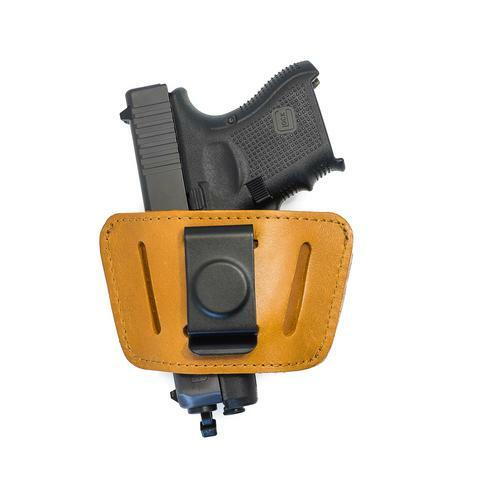 This inside the waistband universal holster is constructed of a two piece full grain premium leather doubled stitched. 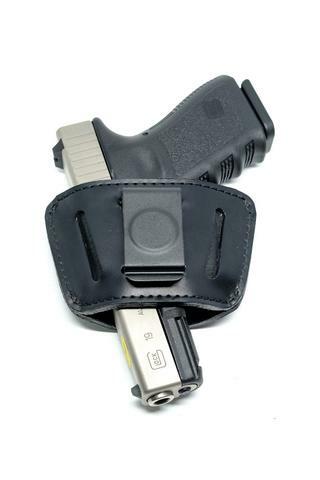 Very versatile holster that can be worn inside the waistband or on the belt with. 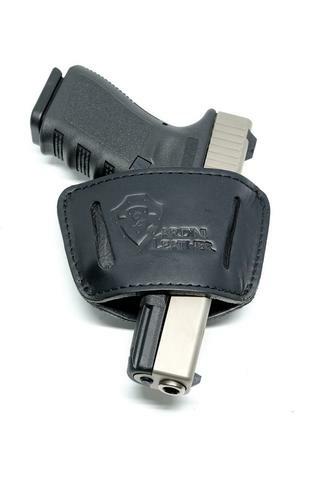 A single tempered steel spring clip provides easy removal of the holster. 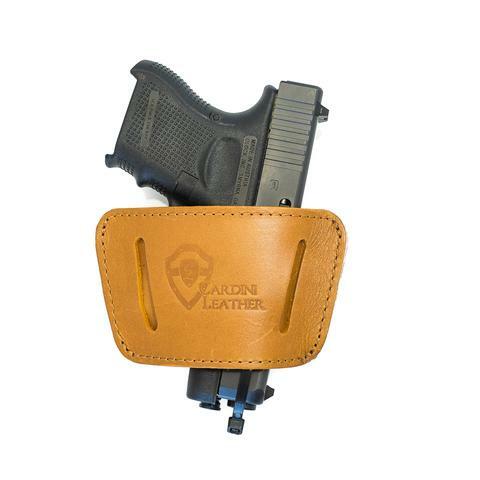 This is an ambidextrous draw holster for maximum versatility! Fits up to 1.75 in. (45 mm) belt widths.